Watch top eventing groom Emma Ford explain everything equestrians need to know about blanketing their horses. This video is brought to you by Horseware Ireland. Understanding when and how to blanket a horse is very important because, just like people, equine athletes often need additional clothing to protect them from the elements. As the longtime barn manager for U.S. Olympic eventing rider Phillip Dutton, Emma Ford shares her extensive experience about various types of blankets, from coolers and stable blankets to waterproof turnouts, and how to choose the type(s) your own horse may need. Ford also discusses when and how to use a blanket to cope with various weather conditions; assessing your horse’s individual comfort level with blankets; understanding sizing and how to measure for a correct fit; methods to safely put a blanket on a horse; and how to properly care for a blanket, including washing and waterproofing. This video is brought to you by Horseware Ireland. 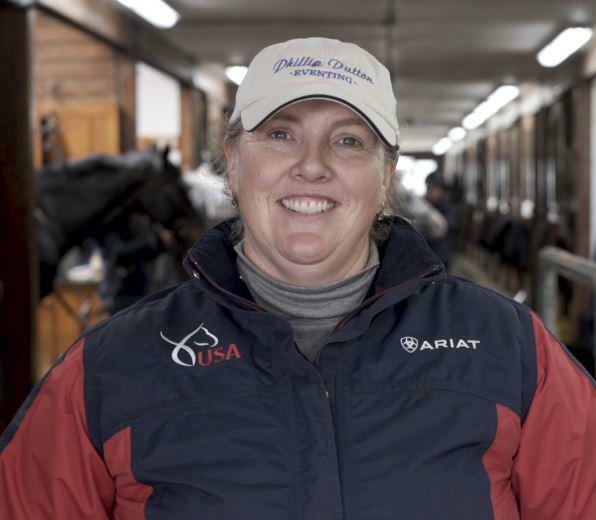 Emma Ford is based in West Grove, Pa. at True Prospect Farm working as the barn manager and head groom for Olympic eventer Phillip Dutton since 2005. Originally from North Devon, England, Ford came to the U.S. in 1998. Before she started working for Dutton, Ford managed Adrienne Iorio’s advanced event horses from 1998 to 2005. Ford also co-authored the best-selling book “World-Class Grooming for Horses.” The book discusses the various aspects to creating superior turnout, from tack cleaning to day-to-day horse care. Keep up with Ford by visiting www.worldclassgrooming.com and follow her on Facebook and Instagram.